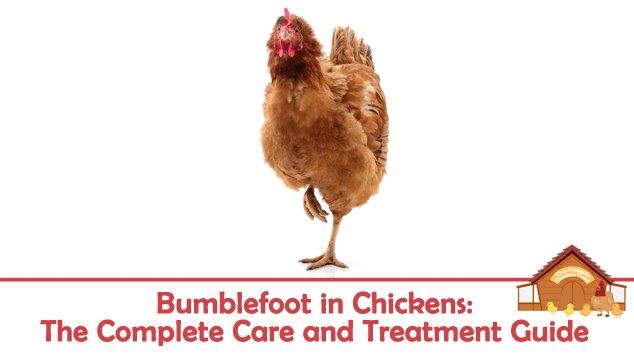 Bumblefoot, also known as pododermatitis, is quite common in chickens. When you think about chickens’ feet, they do even more work than your feet! They are up and about all day and then when they go to bed they still stand on their feet. It’s really not surprising that they do suffer from foot problems occasionally. A chicken’s foot has sixteen small bones in it so that they have a great deal of flexibility with their foot and toes. As you can imagine, these bones are tiny and are subject to tremendous force at times. Injury to the bones, or more commonly the skin of chickens’ feet, is a fairly common occurrence. In this article we are going to take a look at how chickens develop Bumblefoot, how you can treat it, and finally how you can prevent it from coming back. Trauma – this is the most common cause and the one we will talk about in depth. The usual causative agent is the staphylococcus aureus bacterium which can enter the skin through an abrasion, cut, splinter or other injury to the foot. Staphylococcus will make itself right at home in a dirty encrusted area and set up an inflammatory response from the hen’s body. The growing conditions are ideal – it’s warm and moist – the bacteria have all the things it needs to start an infection cooking. 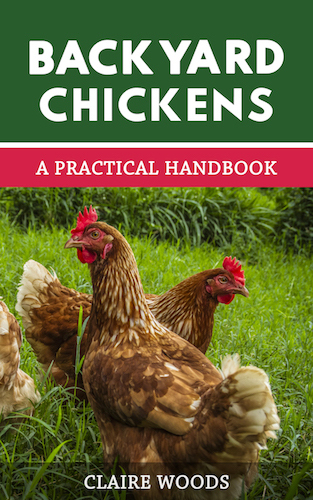 Chickens walk in all manner of dirty things – mud, puddles, dirty litter and poop so it’s little wonder that they get the occasional infection. Usually the first sign that anything is wrong is when you notice your bird limping or keeping her weight off of one particular foot, or just sitting for long periods of time. You will need to inspect the hen’s foot in order to determine what is going on. Limping can be caused by an awkward landing, lameness or other injury to the leg or foot. On closer inspection you may see some redness or swelling of the foot in the first stages of infection and it may feel hot to the touch. The cardinal sign of a black scab, usually on the sole of the foot usually comes a bit later on when the infection is well established. Treatment is needed – left untreated it will cause the bird pain and suffering and may result in death. Severe cases of Bumblefoot can cause a bone infection (osteomyelitis) which can be very painful and difficult to treat effectively. This link shows a nice little graphic of the stages of Bumblefoot. There are a few treatment options open to you. For the treatment of mild cases, some veterinarians recommend soaking the foot in a solution of Tricide Neo. Tricide Neo is an antibiotic treatment used on fish to treat skin ulcers and ‘fish rot’. Apparently it is quite effective on Bumblefoot in its early stages. Epsom salt foot baths daily also help to soften up the skin of the foot. For the treatment of Bumblefoot that has the black scab present, its accepted treatment was to ‘cut out’ the bumble. The bumble consists of an encapsulated (usually) abscess which can be full of hard waxy/cheesy substance. You can stand the chicken in a warm Epsom salts bath or use iodine to clean the area really well before ‘surgery’. The whole process consisted of wrapping the chicken in a large towel. This enables you to control her better. Make sure there is enough towel to cover her head keeping her in darkness – ensuring she is able to breath. Turn the bird onto her side or back and grasp the affected foot in your hand. Your dominant hand will be holding a scalpel. Wear disposable gloves as Staphylococcus can cause infections in humans too! Cutting around the edge of the scab after disinfecting the area, angle the blade as if you are cutting an upside down pyramid. It will bleed a little so use gauze or a clean tissue to keep the area blood free. When you have cut around the black scab completely, use a pair of tweezers to pull out the scab. If you have done it correctly you will have what looks like a corn kernel. The residual hole looks very deep, so clean it well, flush with a saline solution and then fill the hole with Neosporin ointment, add a little packing and bandage. Use Vetwrap or Ducktape to hold that bandage in place – you are done! I should add that you should talk gently and soothingly to your hen all the time, it helps her to remain calm and not struggle with you. Dressings should be changed daily to ensure the wound is healing. The hen should be discouraged from roosting, if you can, get her to rest on soft bedding for a few days. 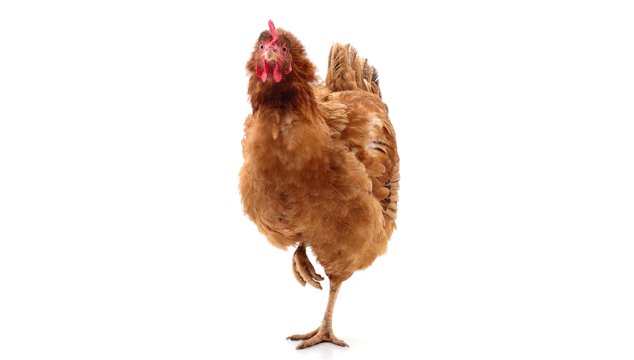 Some hens just have to roost – if you have one of these try to pad out her usual perch. I have done three successful excisions on my hens – traumatic for all involved. There really is no local anesthetic you can use since they cause heart problems with chickens. 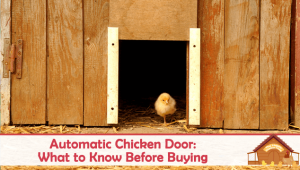 Local veterinarians will do the same thing – they may use a general anesthesia but some don’t since chickens tolerate anesthesia poorly. Although my hens laid still the whole time and didn’t fuss, you just know it has got to hurt! Rushing through the procedure wasn’t an option since I didn’t want to have to do it a second time. We have outlined the process for removing a bumble, but if at all possible, please take your hen to the veterinarian for this treatment as they can prescribe suitable painkillers! As with most things, prevention is better than cure. But sometimes even with the best intentions and care Bumblefoot can occur. There are several things you can do to reduce the chances of Bumblefoot in your flock. The first and most important is clean, fresh bedding in the coop. No, you don’t have to change it daily, but if you scoop the poop on a daily or every other day basis it prevents build-up of bacteria. Ensure that the nest boxes are clean and scrape the perches if necessary, add a little fresh bedding with herbs if you like every few days. Raking over the bedding helps to keep it fresh too – you don’t have to do this yourself. Throw a handful of scratch or cracked corn into the litter and the girls will do the work for you! The next thing is to check your perches for sharp edges and splinters. Run your hand over the surfaces of your perches and if they feel rough sand them down until they are smooth. There is no reason why you cannot use natural tree limbs for perches as long as there are no rough spots. If you have large birds such as Jersey Giants, even Orpingtons, you should consider having your perches no more than 18-24 inches high. Feeding your ladies an appropriate diet with all the vitamins and minerals they need for a healthy body won’t prevent the occurrence of Bumblefoot, but it will help them fight off any infection and help with faster healing time. While we are on nutrition – don’t overfeed your hens. There are certain breeds that have a propensity for becoming obese. These birds need to be monitored carefully as an overweight hen is more likely to suffer from foot or leg injuries because of her weight. Make sure they have the correct amount of protein; too much protein can exacerbate foot or joint problems. Regular foot inspections should be practiced. You should incorporate it in your monthly health checks, please see our article for further details on health checks. 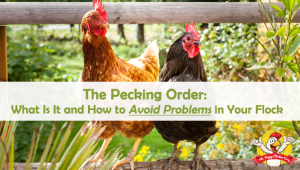 By spotting a problem in the early stages you are saving yourself some time, money and effort, not to mention saving your hen from pain and suffering. Try to remove any sharp objects or other potentially harmful debris from the coop and surroundings area – anywhere the chickens roam. I usually carry a small plastic bag with me when I’m wandering the yard. Nails, screws, bits of wire, even brittle plastic, can cause injury to the foot. Bumblefoot is a very simple problem to deal with if discovered early on in its’ course; as the infection gets more entrenched it becomes more difficult to treat. If you do regular health checks on your ladies you should be able to pick up on a bumble pretty early on and subsequently be able to treat it quickly and effectively. Sometimes catching your bird is an exercise in patience and fortitude, but roosting time is best if you are suspicious of a problem. Some sources recommend isolating the bird because technically staphylococcus can be infectious. I have never done this since the infection is localized and should be well covered to prevent picking at a wound. In general I try to avoid isolating a bird as it can cause problems with re-integrating the afflicted hen. Here’s hoping you never have to deal with this issue, but if you do, you are now knowledgeable enough to tackle it head on! Thank you for this article. I enjoy learning about “my girls” and “big fellow” by reading these posts. Thank you for the information about bumble-foot. I am not looking forward to taking care of this, but at least now I have some guidance. are the eggs laid by a hen with Bumblefoot O.K. to eat, or should they be discarded? I really enjoyed this article, I fuss over my girls like children… good to know what to do! Three of our girls had/have bumblefoot. We had no idea it existing until we saw one. I found your website and watched your youtube videos which helped us right through it. None of them were limping or anything. One was and that’s how we figured it out. On of the girls had two HUGE ones…aweful! She was even limping. She had one on top of her foot and one on the bottom. So, my question is this…how long do we keep them wrapped up once it was been removed? I assume we change the bandange and doctor the holes with neosporine until the hole is completely closed. Is that correct?